Standard shipping is included in the price for the continental USA. Expedited shipping rates and delivery times. 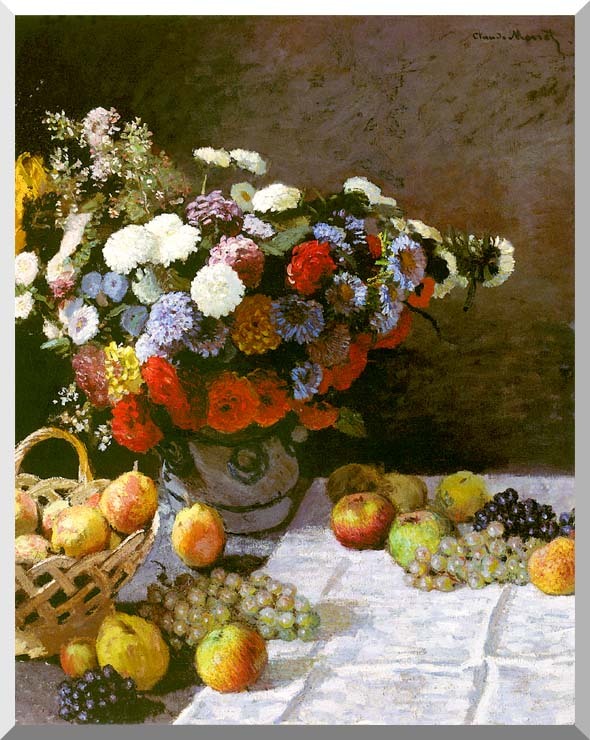 This is a giclee print of Still Life, Flowers and Fruit by Claude Monet on high quality canvas. The canvas is professionally stretched over a standard 3/4 inch deep wooden stretcher bar frame. Select the image size above for your artwork. © 1999–2019 Accents 'n Art, Inc. All rights reserved.